Were you apart of your high school’s student government? Did you help plan dances, prom, student events or fundraisers? Have you ever wanted to be apart of something that was super cool and fulfilling? I ask these questions because that was me when I was in high school. Although I am not as active in student government as I used to be, I still reap many of the benefits of those involved in Student Government Association on Butler’s campus. Butler University’s SGA is committed to improving your campus experience. 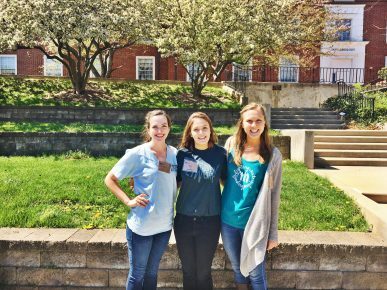 They represent the student body and support over 150 student organizations on campus while addressing student concerns and providing engaging programming with the Butler community. SGA connects the students to the administration; building strong relationships with the faculty and staff addressing student concerns. Some of SGA’s functions include providing a free weekend shuttle service for students, offering grants for represented student organizations, and hosting exciting student events, like diversity programming, concerts, and philanthropy fundraisers. Another student involved in SGA is Chris Sanders. He is a junior psychology major, a co-chair for SGA’s Concerts Committee and a student assistant for the Office of Health and Education. His experiences have made working within SGA some of his best memories while on campus. “I didn’t know what I was really getting into when I joined, but if someone would have told me that my Butler experience would including meeting famous artists such as T-Pain, Kesha, and DNCE, I would not have believed them, but this is exactly what happened.” Chris said. SGA can open several doors for students. Once apart of SGA team, new benefits and opportunities open up for everyone on campus in the Butler community. Were you apart of your high school’s student government? Did you help plan dances, prom, student events or fundraisers?